Work, pleasure, money - for years these subjects and especially their relation have kept me busy. I made lots of money doing things I was very good at but didn't really like, I made no money at all doing things I did like but wasn't very good at, etc etc..
Now I am making good money doing the things I really want to do. And when I found this pure and simple overview, it all came together. In the end it's pretty simple or? Thanks Bud Caddell! namibia 2013 - part 1 is over! 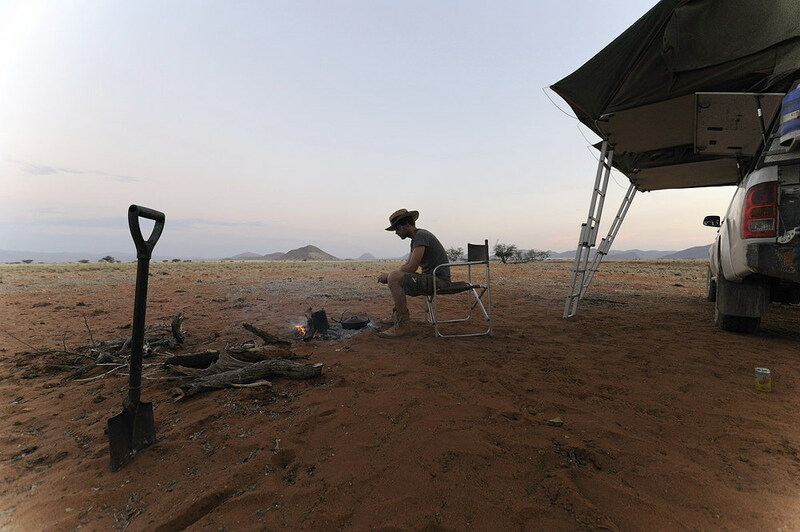 Yesterday I landed in Frankfurt, after an amazing journey through Namibia. More than two months with a well-equipped four wheel drive bush camper criss-cross through this beautiful, deserted country. Sleeping in unique places, views to remember forever, encounters and personal stories to take in, which all left an indelible impression. So much beauty, simplicity and purity cannot leave anyone indifferent. Along the way I would continue to pick up new guests from the Netherlands, who would travel along for a day or 10, quite a change from my usual mode of travel. A wonderful way to share this journey. Not only because together you see a lot more, but every person experiences things differently. This effect was further enhanced by these special surroundings, being in the middle of nowhere, without all the usual distractions, the crowds, the noise, all that we take for granted at home. Every day a new discovery. No idea where we would sleep, who or what we would encounter. Cooking our meals on te campfire, shitting in the bush, no network access. Every day would bring questions that we had to answer ourselves. Can you actually go to sleep if 30 elephants are circling around the car? How do you bake bread in a cast iron pan? Is this guy to be trusted? Are lions really afraid of fire or is it suicide to sit here with a glass of Chardonnay? Can we drive on these salt flats or will the car get stuck? I’m filled with these feelings and I want to share my impressions, here and now. Without the explanation and interpretation that it might need. Because right now I cannot put all in words yet. Here's what I experienced with Richard Zweekhorst, Daphne Prieckaerts, Peter and Jeroen Hemels, Mundo Resink and Jeroen Stolting. Thanks for your companionship, friendship and trust! If this story touches you, share this album on FB, or anywhere else. And in November and December I will be traveling again, for part two of this wonderful project. Early next year it will all be in book form. You want to join me for an unforgettable journey? There are still two places available: one is early November, the other one halfway december. Drop me a note if you're interested! And the Amsterdam-Dakar Challenge is over.. We tackled almost 7,500 kilometers in our shiny '96 Volvo 850 estate. Through the snowy mountains near Madrid, over a foggy and cold pass to Fes, from there over the High Atlas to the beautiful dunes of Merzouga. 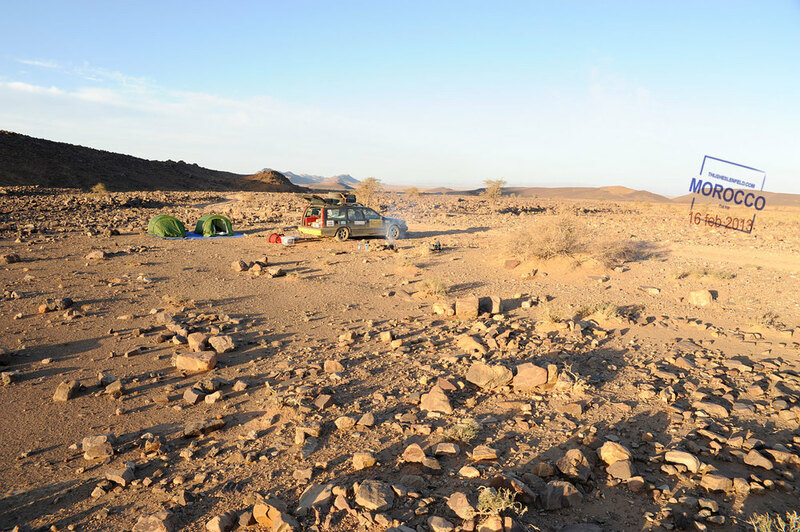 In the South of Morocco we had the first opportunities to bushcamp, like this great location along a rocky path on the way to Zagora. During this part of the trip we might not see other participants for days in a row. It is fair to say that my co-driver Gerard Reddingius hardly prepared for this trip. Around us we saw vehicles on which people had been working for years, literally. All we did was organising a few tires, 10 litres of motoroil and a roof rack with jerry cans for our Volvo. This is a barrel race after all and we were supposed to stay within a 500 Euro budget! I hoped that Murphy's Law would drag us through it and that too many preparations might only backfire. Well: that appears to be true! While other participants left a trail of broken rear axles, blown head gaskets, flat tires and worn CV joints Gerard and I happily continued without major problems. At one stage we were even two days ahead of the rest! 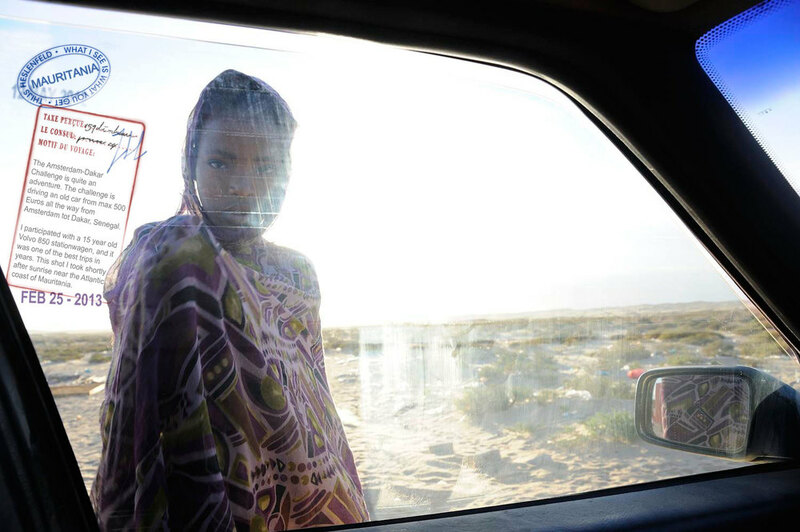 After Morocco followed endless roads through the Western Sahara. Then the real excitement came, because in Mauritania we had to cross a region where Al Qaeda occasionally beheads the odd tourist - to make this world a better place. No worries, the government provided us with a few pick ups full of local rambo's. Nice guys, we kept them quiet with cola and cigarettes (which were remarkably easy to find herel!). After Mauritania came Senegal. Another grueling beach stage and then the finish in Dakar followed by a final stage to The Gambia, because our cars could not be sold in Senegal. In Gambia's capital Banjul all vehicles were sold at an auction: 40,000 euros for charity! And then we had a few days on the beach. With a cocktail in hand I let the whole story again pass in my mind. The conclusion: the landscapes were beautiful, the sunsets priceless, the food delicious. But the fishrunners of Nouakchott, the donkey shepherd in Zagora, the fishermen along the beach in Senegal and all those happy children along the way: they made this trip really memorable. Africa showed its best side and we enjoyed every single minute of it. Thanks! Cool! The guys at heartworkers make short docs about people who do the things they love, and make a living out of it. They gave me the opportunity to share my thoughts in this 3 minute movie. Just how nice is that? 'Men at work' is on display again, this time in Rome and Bussum, The Netherlands. The complete exhibition opened this week in Dutch theatre Spant! in Bussum. Open daily, lasts till December 31st. From September 20th the book that I published with the exhibition will be part of the 11th Festival Internazionale di Roma. 'Men at work' will be on display in the Contemporary Art Museum MACRO as part of an exhibition curated by Douglas Stockdale. Read his earlier review of the book here. With more than 14,000 entries from over 70 countries the red dot design award is the world’s largest design competition. Only those are honoured who can hold their own with the star-studded jury – in their field, with their ideas. And I am more than happy to announce that my book 'Men at work' won a red dot 2012 for communication design! The award will be handed out during a gala in Berlin on October 24th. With this award 'Men at work' is in good company: earlier winners of the red dot for product design include the Porsche 911 and the Apple MacBook Pro. The question raised by each of these images: is a man’s identity based on his work, or is his work based on his identity? It is up to the viewer to answer that question. For myself, I see a clear connection between the (socio-)geographic location where I take a picture and the role that work plays in the lives of men. In the wealthy, capitalist Western world, men seem to identify strongly with their work: they are what they do. In less advanced countries, this is often quite different. 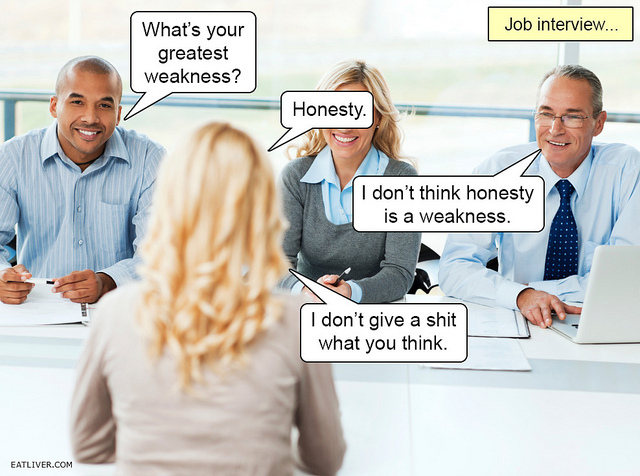 Here it works the other way around: people tend to do work that suits them. The book is published by Oost West Thijs Best, text is in English. Order here. The exhibition in De Melkweg lasts till April 1st. 'Au!' is the title of my new photo book on Suriname. Today film director Jean van de Velde received the first copy of the book during a presentation in Amsterdam. To shoot for this new book I spent 3 months in Suriname's jungle. The book documents the lives of the people that live in this vast piece of Amazon rainforest. Click here for an extended preview. To celebrate the publication of this new book there will be an exhibition of Thijs' Surinam images in Pakhuis De Zwijger in Amsterdam during the whole month of November. 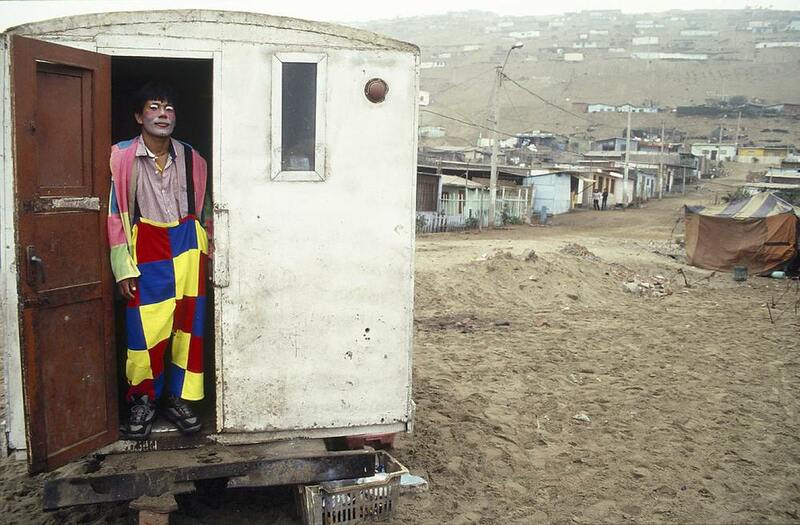 'Thijs Heslenfeld is one of the best Dutch travel photographers. In this book about his much-loved Australia, he strikes exactly the right note to make the outback sing. Heslenfeld says that he wants to show life in the outback - nothing more, nothing less. But that, obviously, is an understatement. Not everyone can perceive the beauty in desiccated carcasses in red sand, a pile of tyres in the desert, some tools in a dusty shed. Whilst there is, of course, a lot of outback in this book, there is a lot of Heslenfeld too. His sense of rhythm, patterns and eye for very subtle shades makes it a very personal book. Details of feathers, the gentle green tones of broken bottles and even a picture of a road train that rumbles past him imbue a soft sheen.